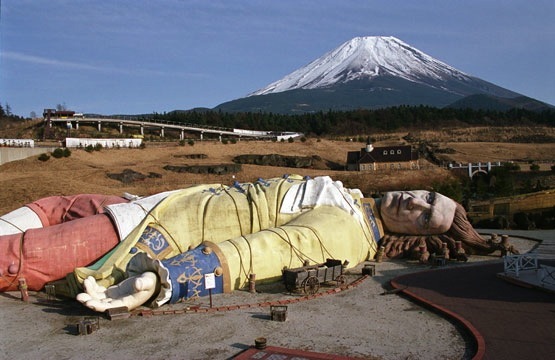 Gulliver once rested in the shadow of Mt.Fuji, bound and nailed to the ground by the hair. His giant body was the main attraction of the now defunct and dismembered Gulliver’s Kingdom Theme Park in the shadow of Mt. 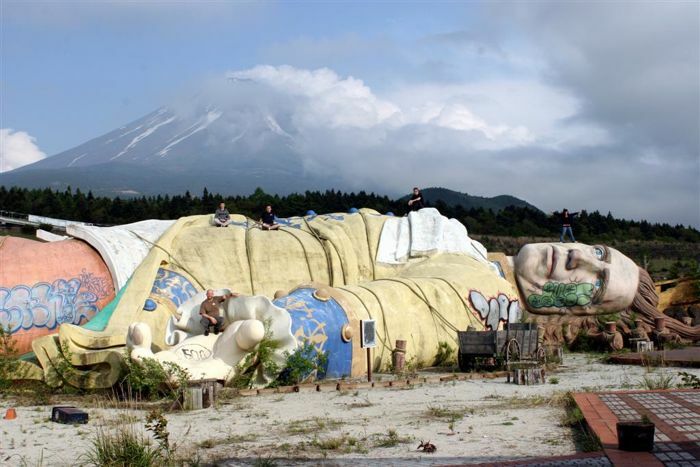 Fuji, built in 1997, closed in 2001 due to defaulting bank loans, and demolished around 2007. Perhaps a contributing factor to its ultimate failure was the proximity of Kamikuishiki- a small village that was the main base for the cult Aum Shinrikyo at the time of their deadly 1995 Sarin gas attack on the Tokyo subway. Tourists on a day-trip with the kids to a theme-park would have been likely to steer clear. Now every reminder of the place is gone, the village has been rezoned, and the name Kamikuishiki removed from all maps. 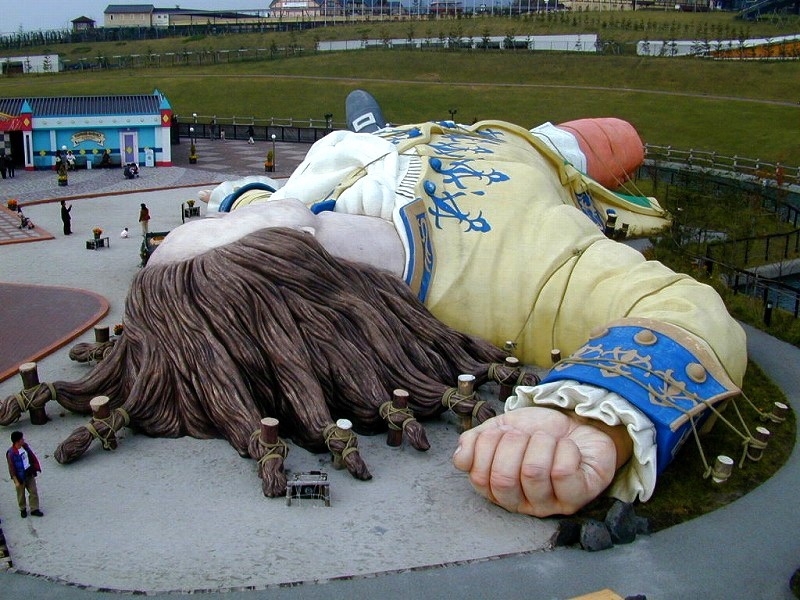 There is also this good Japanese Haikyo site that has this Gulliver haikyo also. 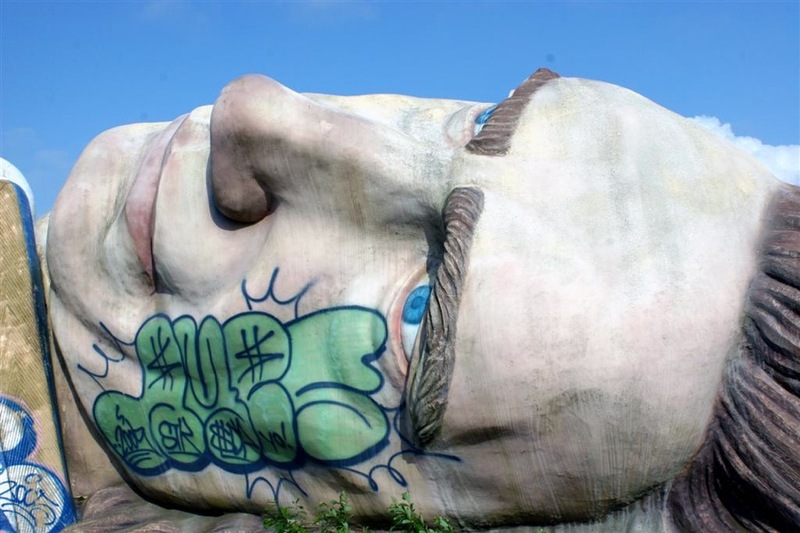 Wow, there is something about the grafitti on the side of Gulliver’s face that is sooo cool! Too bad it’s all gone. That’s one that I regret not seeing too Mike. Just as I got into the whole haikyo thing I eagerly checked it out only to find that it had gone. It did look fantastic didn’t it? For some reason I find the coupling of the scale of Gulliver and his lifeless expression really, really creepy. How thoroughly awesome. They sure know how to build cool theme parks. This is absolutely insane! 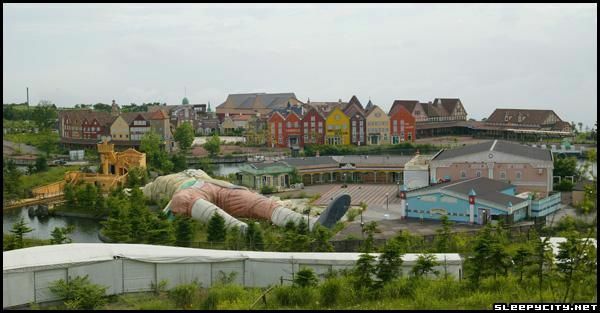 I would have never imagined a theme park based off of Gulliver’s Travels! I know you haven’t explored this particular theme park, but is it dangerous to do so? I would love to explore one of these modern ruins one day, but am concerned about the safety of doing so. Thanks again for this! Tornadoes- Right, I probably `borrowed` some of these photos from there..
Scott- Canadian world? I`ll go do some research…. Michelle- Right, I`m not a fan of that particular graffiti, but I`ll agree seeing a place degrade is quite fascinating. Karasu- Good point, I hadn`t thought of that. He is lifeless. 2nihon- No doubt, they do. Ones that are too awesome (and fragile) to survive in the real world. Houma- Safety is largely a matter of common sense in a haikyo. 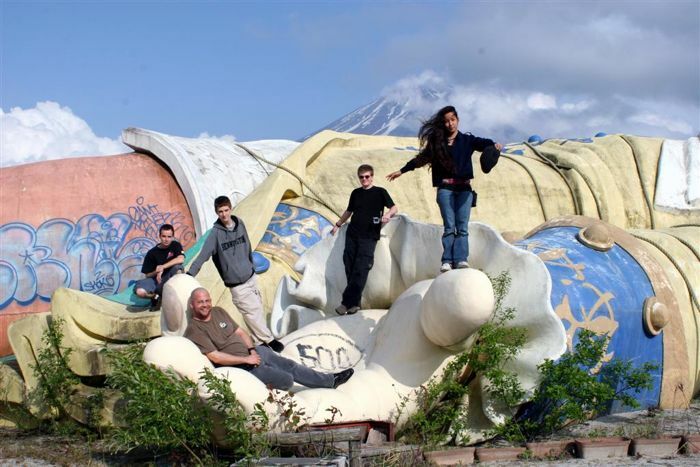 In Japan there`s about zero threat from people in the ruins, as there are no squatters and I`ve never even seen evidence of drug-use. The main danger is the age and worn-down state of the place. Watch your footing and you`ll generally be fine. In other countries though, ruins inhabitants become much more of a risk. I went there when it was open – it was a very surreal experience. It was largely just small shops selling scandanavian products such as salted liquorice (which is bizarre because I have yet to meet a single Japanese person who likes the taste of liquorice let alone salted liquorice). One shop sold nothing but moomin goods. The moomin shop was really the main reason for Japanese people going to this place in my opinion – certainly it was the most full. 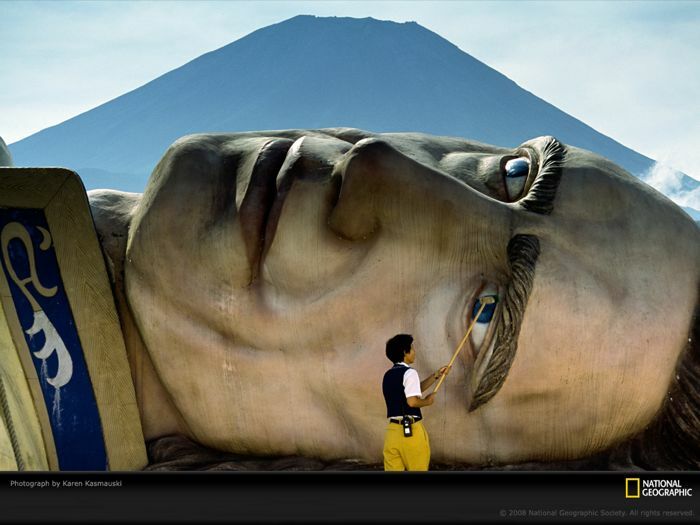 But seeing a giant gulliver on the lower slopes of Mt Fuji was really out of place. where can I find this park on google earth? I looked near Mt. 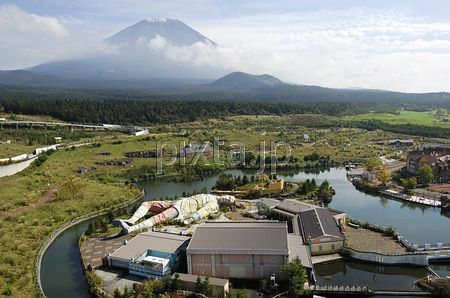 Fuji and can’t find it. 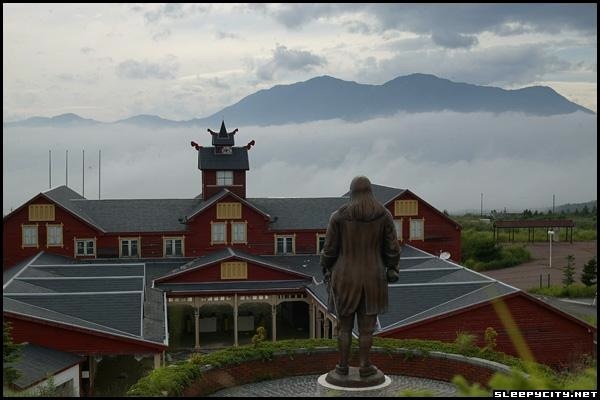 I looked near Yamanashi and I can’t find it either. I tried using the old images of google earth and again can’t find it. Is it near some sort of town? IT WAS TORN DOWN IN 2007!!!! So the statue is totally gone today? Nice. 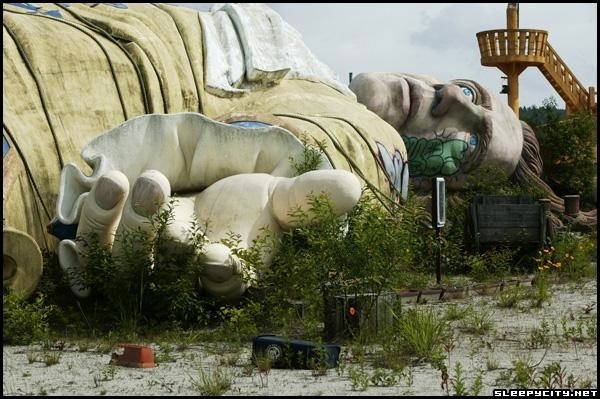 Giant dude left tied to the ground to rot. Wonder if there could be deeper meaning to that? Ah well. Looked at your lists, pity you didn’t stop by Takakononuma Greenland Park while you were there. It sat abandoned for years, had some nice ‘conquering nature’. I’m told its gone now, but I wouldn’t know…yet. Wouldn’t want to go now anyway–it was close enough to be caught in the radiation circle from Fukashima. Bye!! Hi Amber, yeah Greenland has been gone for a while, before I was even in Japan. Pity. 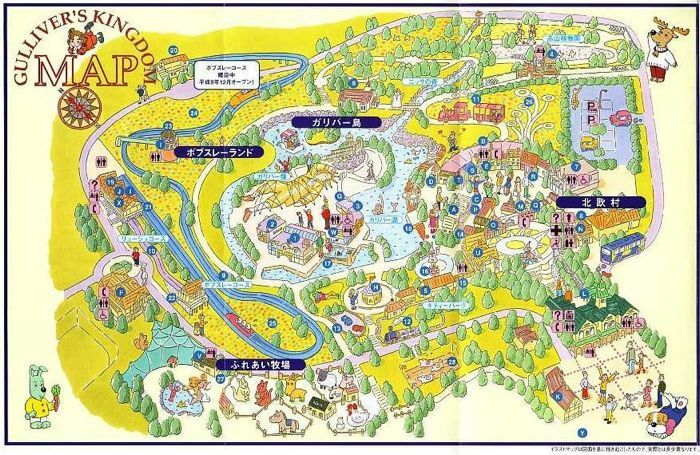 It’s not so much a theme park as it is an outdoor park: they have rental cabins for camping, etc. but with the name ?????????? it was obviously intended to be a location for school field trips and such. I think it’s still open and operational, but it’s way run-down. They seem to make enough money to keep the place open, but not enough to properly maintain and fix everything there. 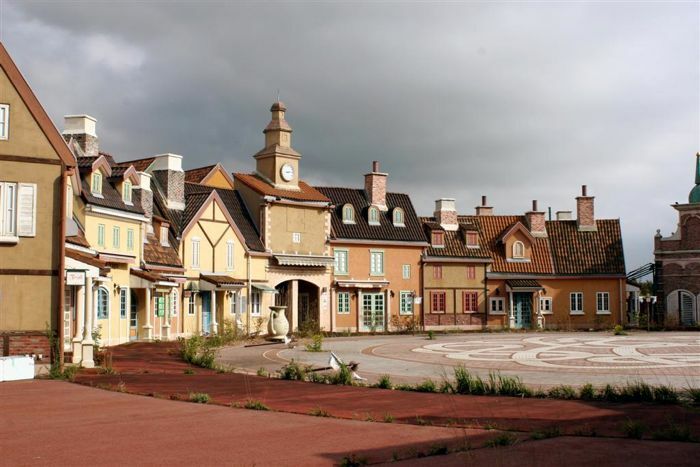 There are three in England, the first Gulliver’s Kingdom opened in 1978. 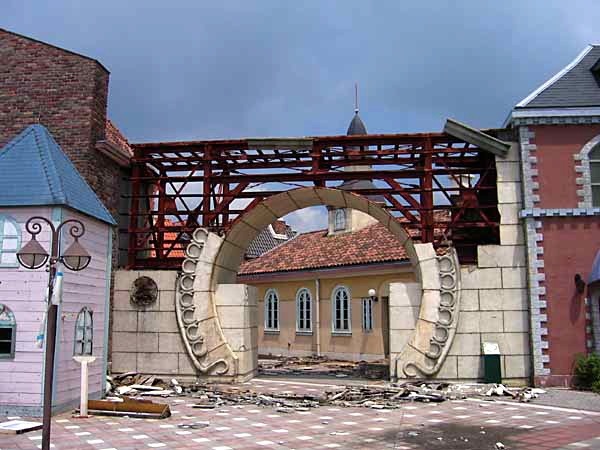 The second Gulliver’s World opened in 1989 and the third Gulliver’s Land opened in 1999. All three are still open and running. I went to one when I was a kid loads of times in the summer.